Gannin' fer a Gawk: SHAAARRRK!!!! Everyone out of the water!!!! SHAAARRRK!!!! Everyone out of the water!!!! Saturdays weather was a bit odd. Easterly winds whipped up the sea at Druridge into a proper old lather, to the point where foam was skidding across the beach like icebergs calving.The retreating tide left piles of debris including big blocks of seaweed with the large stones they sit on still attached via the holdfast. 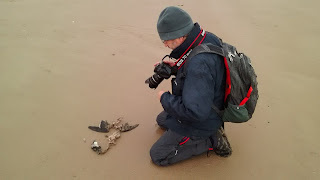 The visit was my inaugural training session with Dan Turner on the Northeast England Beached Bird Survey. We walked the beach searching for evidence of beached birds, in particular fulmar, which are recorded, measured and in some cases collected for further work. 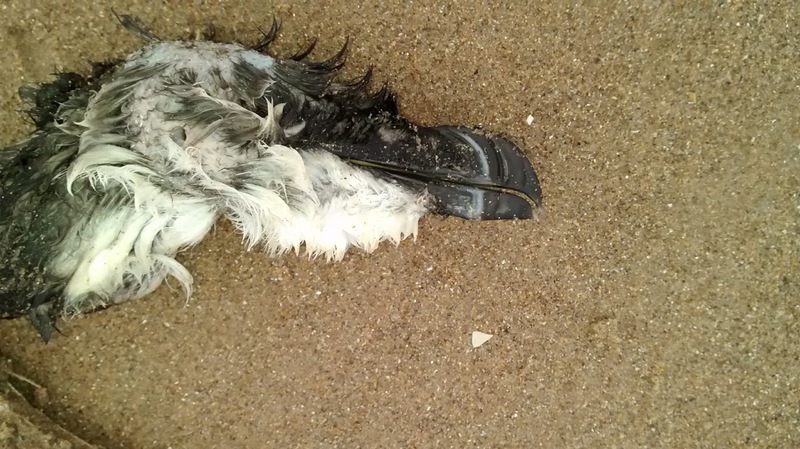 It was enlightening to see how this was undertaken and the data will be added to a growing international effort collating information on the impact of human plastic waste on seabirds, in particular fulmar. These fabulous pelagic birds sweep the waves plucking food from the crests. Watching them, they effortlessly ride the wind, masters of the air. Small items of plastic, foil and even balloons are mistakenly swallowed in place of their normal diet of shrimp, fish, plankton or jellyfish. No surprise then that the guts of fulmars are becoming packed with plastics, including nurdles, sweet wrappers and latex. This is one of the outputs from the work for which this survey is being completed monthly, and by volunteers. It may seem macabre but the science is needed. 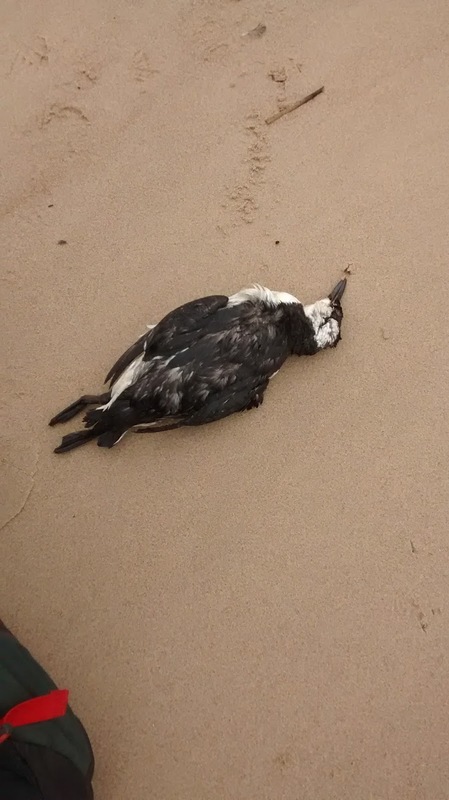 Amongst the flotsam, the first find was a fresh guillemot, an immature bird and underweight, possibly unable to feed adequately due to the weather? Wing length, weight, bill measurements and other biometrics were taken and finally the wing tips were trimmed to prevent double counting. Nearby the remains of a small passerine were also recorded and bagged for later identification before the discovery of a razorbill, stripped off flesh but again quite fresh. This time an adult and aged three (counting the marks on the bill). The force of the waves had deposited a huge amount of debris on the beach including logs, rope, buckets and lots of plastic. In particular, the strandline was littered with nurdles, they were everywhere! Multi-coloured lentils of plastic bobbing around the oceans at the whim of currents and tides to be cast upon our northern shore, hiding themselves within the sand to be freed when the waves come back to claim them. Will some of these find their way into any of our fulmars I wondered. 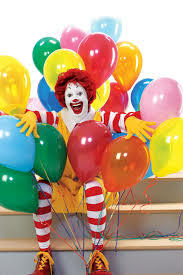 Even worse, a bakers dozen of MacDonalds Happy Meal balloons lurked in the flotsam, the residue of an innocent child's treat that escapes to become another hazard to our embattled seabirds. It makes me feel like dressing as a clown and lurking outside burger bars to frighten the punters. That seems to be a twist on a current theme and it would be great if a few of them came down to work off the cholesterol with a beach clean workout, picking up where they left off. 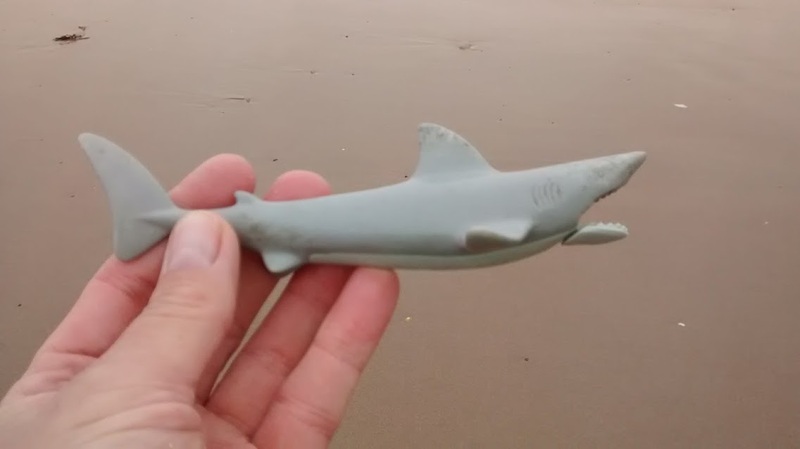 Then it happened; I found the best thing I have ever found on a beach to date - a SHARK! Small and grey, it was in very good condition and very unexpected. It was collected and taken from the beach for a clean up and identification. I was so excited I bought a shark book today from Tynemouth market. Leaving Dan after a very interesting morning, I returned to another part of the beach near Cresswell Pond, determined to make an effort to address the crap dragged in by the sea. By this time the sea had started to come in and it was fast, fast, fast. Small waves zoomed in over the preceding ones where the foamy residue lubricated the sand and their reach got greater as I wandered along the top of the beach, picking up polystyrene and cellophane. I was almost caught out by the silent approach of foamy water on more than one occasion, surging up the shore as if Neptune was unhappy that I was there, stealing the offerings provided so regularly by those less aware then myself. I haven't seen the waves so slick here before and the incoming tide was well ahead of me, forcing me into the dunes to wend my way back slowly. My reward for the work appeared suddenly out of the marram, a fantastic Short-eared Owl flushed from cover by my sudden appearance. His own eruption forced a flock of 200+ small birds to flight - Goldfinch, twite and linnet sent twittering into the sky to dance in the sky like sooty snow, breaking the roar of the sea with their sparkling song. The waves were surging into Cresswell Pond as I passed, hide windows partially open gazing blindly into the sunset as the channel swept itself without the aid of man, as it should. No doubt "she" will leave too much water, making twitchers twitch on Twitter. For the record, this was my first sighting of the Playmobile Great White Shark and it came home with me. It's safe to go back into the water - but not today. I have a deep love for all things wild and Northumberland in particular and any trip rewards me with something of interest to "Gawk" at.